Good news book fans! Lindsey Kelk is back with a brand new novel and some shiny new characters to boot. 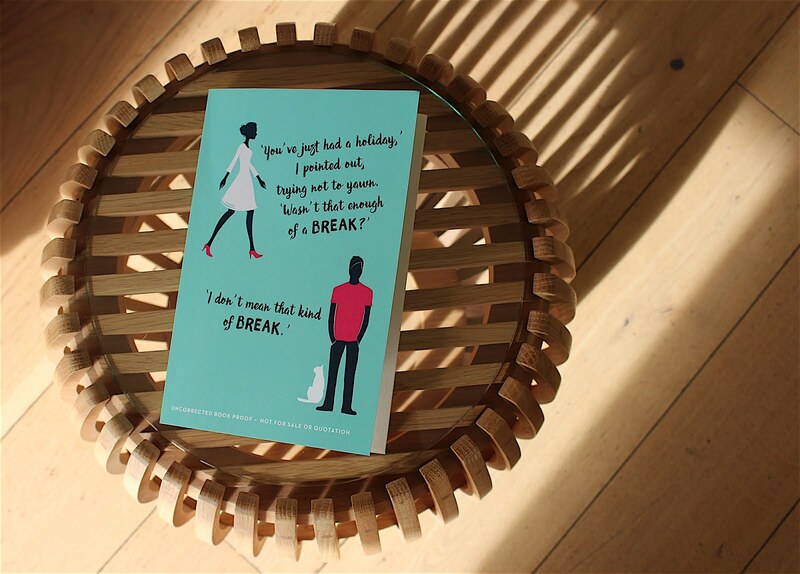 I've been sinking my teeth into We Were On A Break and, let me tell you, it's another LK corker. Here's the sitch: Liv and her boyfriend Adam are on vacay and she's convinced he's going to propose. Only their romantic last night in Mexico goes spectacularly wrong and he ends up suggesting a temporary split instead. Ouch. Cue awkward moments, misunderstandings and a whole lotta will-they-won't-they. 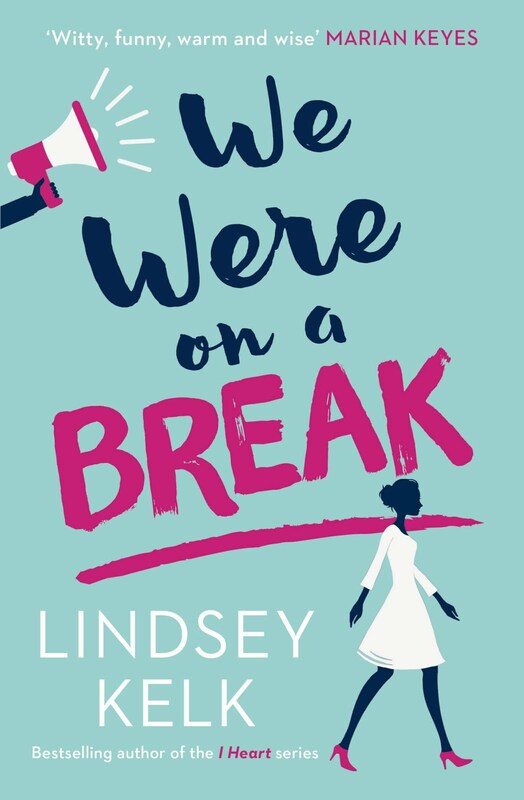 The book is written with Lindsey's usual funny, fast-paced style and she's thrown in a few new twists to keep us on our toes. With On A Break we get to hear a male voice for the first time as Adam and Liv switch narration through the book. This totally took me by surprise at first but it's such a great idea, you get a brilliant insight into Liv and Adam's different takes on their romance dramaz. 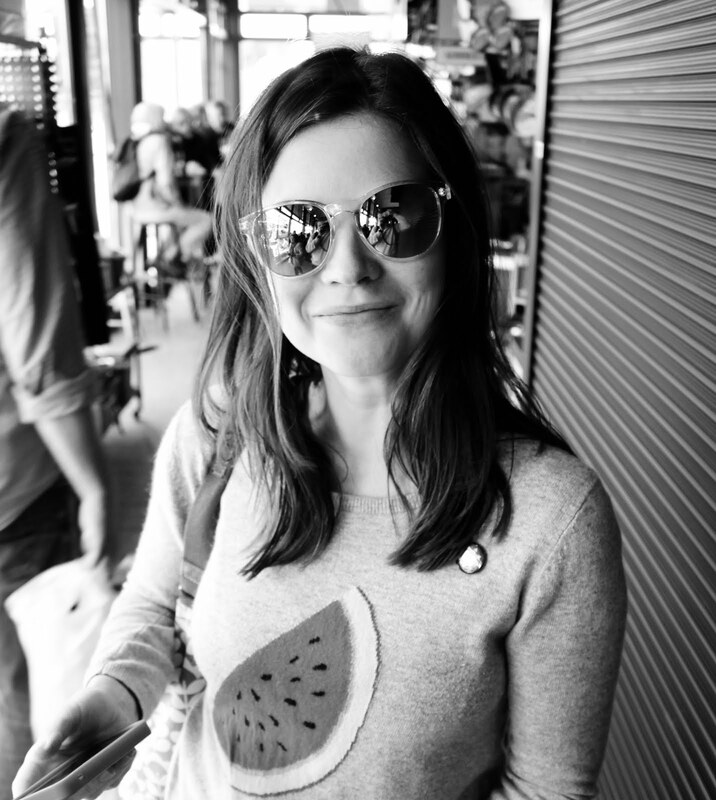 H: "Hi Lindsey! You’re a self-confessed beauty junkie... how much do you spend on products each month?" L: "Oh dear god, I can’t answer that without genuinely putting my relationship in jeopardy. Let’s put it this way, if I could get all the money back that I’ve spent in Sephora, I’d be able to open my own branch. I’m lucky because I do get sent some stuff but I also buy a lot. I don’t have as much time to write about every single thing I try these days but I test everything and the best stuff always gets a mention." H: "Do you always like to look glam when you’re writing or are some days spent in your PJs?" L: "Ha! I hardly ever look glam these days, it’s a disgrace. If I’m at home working, I’m in yoga pants or shorts and a dodgy old wrestling t-shirt. I love, love, love make up and adore getting glammed up once in a while but since I moved to LA, I’ve become much more casual in my style. In London and New York, you could always put on a little dress and heels but the rule in LA is ‘if in doubt, wear jeans’. Also, I think my interpretation of glam is very different to the current trends. You’re more likely to see a girl in skinny jeans, super high heels and really intense contoured and highlighted make up if you go out-out in LA whereas I like to do a cute dress and stay pretty natural with my make up, maybe a smokey eye or bright lip. I can’t deal with the whole Instagram make up trend, I worry more about how I look in real life than how I might look on a camera." H: "If you weren’t a writer, what job would you do?" L: "Such a tough one! I think I’d like to be an event organiser like Maddie in Always the Bridesmaid. I love putting parties and things together and I really thrive under pressure so I feel as though that would be a good fit." H: "What’s your biggest distraction when working on a book?" L: "Everything. Honestly, the entire world gets in the way. TV, my cats, my boyfriend, the sun, breathing – I’m always looking for distractions!" H: "Are you a procrastinator or do you prefer to blitz that first draft?" L: "A bit of both. I’m a terrible procrastinator and will always wait until the last minute to get things done but once I start writing, I really do whizz through the first draft. I’ve tried really hard to work in different ways but it’s always best for me this way." H: "Do you feel homesick when you come back to the UK for signings?" L: "Absolutely. You miss the weirdest things when you’ve been away for a while, like food you weren’t even crazy about when you lived there, and it’s always great to see my friends and family. I’m always excited to come home." H: "What’s the best / most awkward thing a reader has said to you?" L: "The best things are always when someone says one of the books helped them through a hard time. We’ve all gone through rubbish stuff and the thought that someone could pick up my book and find an hour of respite makes me so, so happy. There have been more awkward exchanges, sometimes people aren’t shy about telling you when they didn’t like something which is never fun. Occasionally people can be a bit aggro at signings if they’ve had to wait a long time. I’ve waited in a lot of signing lines, I know how annoying it can be and I always feel terrible." H: "If you could have written any book (not by you) what would it be and why?" L: "Oh god, every book ever. I have terrible professional jealousy! Every time I read an amazing book I wish I could have written it or wonder what I would have done with the same plot. I recently read Sweetbitter by Stephanie Danler and absolutely loved it – it was like a literary fiction bizarro world version of I Heart New York (and while I mean that as a compliment, it sounds cheeky – sorry, Stephanie) where a young girl moves to New York, falls in love, finds a best friend but it couldn’t be further away from Angela’s experiences. I couldn’t help but wonder what would have happened if my story had taken those turns. It’s a brilliant book and I’ve bought it for so many people." H: "You’re invited to lots of fab events, which has been your favourite?" L: "I’m always excited to be invited anywhere otherwise I’d still be at home in my yoga pants and wrestling t-shirts! One of the most fun parties was the La Mer anniversary in LA last year. Not only did we get to drink yummy drinks and snag La Mer swag, we also got to hang out with Gwyneth Paltrow and Chrissie Teigen. It was a total Hollywood moment." So, a huge thank you to Lindsey for stopping by and an even huger recommendation from me to go out and grab her latest book. We Were On A Break is *drums please* OUT NOW!